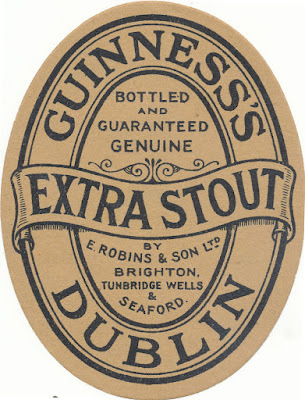 The conversion of Guinness to a public company was very successful As was the company itself. In 1890, Guinness made getting on for three-quarters of a million quid. A huge amount for the time. "A. Guinness, Son & Co., Limited. The directors’ report for the year ended June 30 last states:- “The results of the financial year, after making provision for bad debts, and including dividends on investments and interest on loans, show a profit of £719,665 9s. 9d. This, together with £25,641 15s. 11d. carried forward from the last account, makes a total of £745,307 5s. 8d. After providing for the debenture interest, the dividend on the preference stock, the balance of income tax, and the interim dividend paid in March on the ordinary stock, there remains available for appropriation the sum of £387,284 9s. 2d., as shown in the profit and loss account. The directors propose to apply this sum as follows:— To add £100,000 to the reserve fund and £30,000 to the depreciation fund; and, subject to the approval of the general meeting, to pay to the ordinary stockholders a final dividend of 9 per cent. for the half-year, making, wit the interim dividend of 6 percent. paid March 1 last, a total dividend for the year ended June 30, 1890, of 15 per cent., free of income tax. These payments will absorb £355,000, thus leaving a sum of £32,284 9s. 2d. to be carried forward to the next account. Sir Edward Guinness and the Hon. John Baring retire by rotation. “Sir Edward Guinness has informed the board, to their great regret, that he cannot offer himself for re-election, as he finds some relief from work to be imperativer necessary. One of his main objects in the formation of the Company was to enable him to withdraw from the active supervision of a business requiring so large an amount of time and constant attention. All matters connected with the change from a private firm to a limited company have now been satisfactorily arranged, and as the Company is working successfully in every way,- Sir Edward feels confident that he can, without detriment to its interest, take the contemplated step of retiring from the management."" "The Brewers' Guardian 1890", 1890, page 262. I know Guinness sold around 1.3 million barrels in 1889. meaning they were making almost 11 shillings per barrel. Which is a pretty decent profit. And their sales were still increasing, as you can see from this table. What happened in 1883 to cause such a retreat in consumption? Sadly for Sir Edward - soon to be Lord Iveagh - the man he put in to be MD, his wife's brother, while hugely competent, went literally raving mad and was carried from the St James's Gate brewery in a straitjacket, forcing Edward's return to the helm.